This Saturday, visitors of Kusumagraj Memorial observed the walls of Vishaka Art Gallery come alive with funny cartoons related to social and political affairs. The informative cartoons showed up almost every current issue in a very humorous manner making the visitors fit into place for long. Cartoonists gave out their most excellent visual interpretation about trending terms GST and AADHAR. 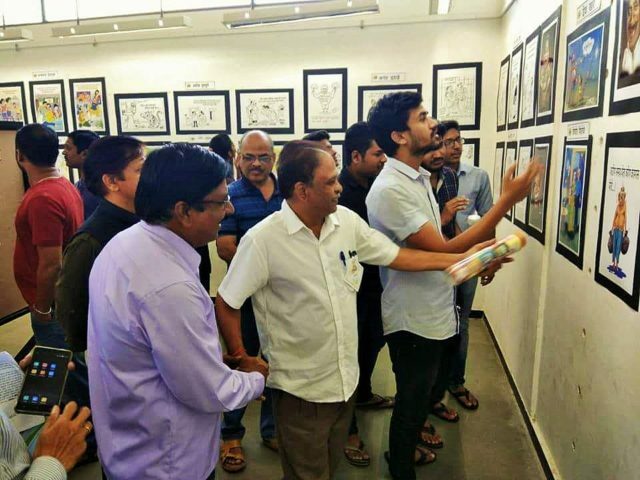 Most of all, this striking event called ‘Haasya Deepavali 2017‘ with more than 50 leading social and political caricature artists (Cartoonists’ Combine) with over 150 exhibits is happening for the first time anywhere in north Maharashtra. The exhibition will remain open between 11.30am and 7pm on Sunday and Monday where cartoonists will be interacting with the visitors between 1.30pm and 4pm on Sunday. Cartoonists like Charuhas Pandit and Vinay Chanekar interacted with the visitors on the very first day. 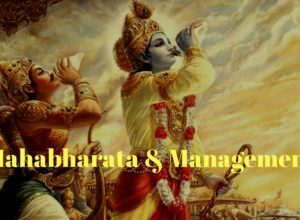 They shared profound intelligence about a number of trending topics and, how and what a cartoon representation marks the minds of general public in the best possible way. There is no entry fee or hidden charges associated with this great event. Now what you pay is your time as well as attention and we believe there is nothing bad at all giving a visit in return for a day educational and enlivened!